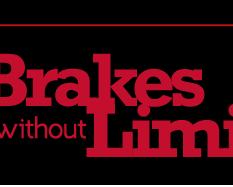 Baer Brakes offer a wide variety of brake systems. Below you will find our system overview which will assist you in choosing the right system for your needs. All Baer calipers are CNC machined out of forged or extruded aluminum and are manufactured 100% at our Phoenix, AZ, USA facility. Standard colors come in Red, Black or Silver Powder Coat Finish (custom colors available) with hand painted machined logo. By design, a brake system is a large heat sink: the more effectively it can mange and dissipate heat the better it will perform in emergencies, at the track and over the long haul. Baer only uses copper sealed banjo fittings for brake line attachment, never leak prone pipe thread, and includes dual seals (dust/weather and pressure) to meet and exceed DOT specifications. With todays modern performance vehicles being equipped with bigger, and better brakes Baer's answer is the all new GR6 (Grizzly) brake system. The Grizzly is the next generation in Baer's line up and features a large format mono-block caliper and is the largest caliper built by Baer to date. The Extreme+ is Baer’s flagship offering, featuring a forged monoblock caliper that is mounted to a 14” or 15” 2-piece rotor. 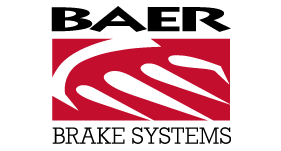 The Extreme+ employs current state of the art race technology usually only found in very expensive race calipers, and Baer now brings that technology to the road going/ street market. The XTR caliper is a race version of the popular 6S caliper available on all Extreme/Extreme+ systems. The R-Spec rotor upgrade is a premium floating slot only race rotor available for any 14” Extreme/Extreme+ system. 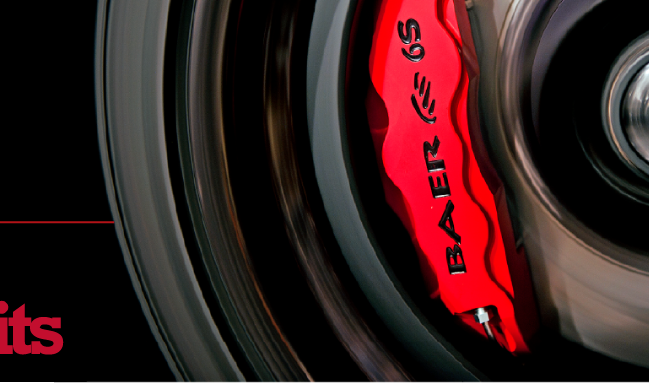 The Pro+ is Baer’s best-selling brake system. Both the Pro & Pro+ kits include a 6-piston caliper and a 2-piece rotor, which will allow you to have the exact same looking brake front and rear! (a Baer exclusive). The Track4 is our most popular front offering, and replaces the Track 2-piston system that we offered for years with the PBR based calipers. The Track4 is a great brake upgrade for customers looking to fill their 17” wheels, update their car to a modern brake and have a great visual impact! The SS4+ front system features all the benefits of our larger brake systems, just in a smaller package to fit 15” wheels. This is a perfect system for the customer looking to retain a factory type 15” wheel, or the enthusiast that wants to have a larger wheel with the option to go back to that stock look. In addition to standard caliper colors and finishings, we also offer custom colors and finishings on the caliper. Please ask one of our technical sales specialists for more information. 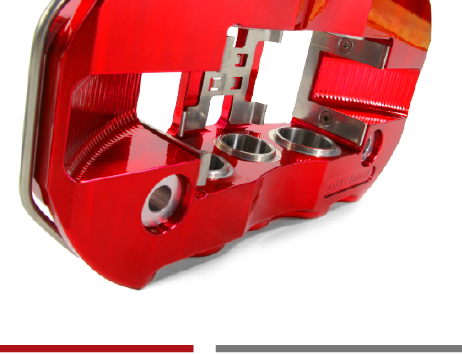 In addition to caliper colors, we also offer custom machined logos on the caliper. Whether you’re looking to put your business logo or maybe just the name of your car we got you covered! Please ask one of our technical sales specialists for more information.